Click on the tabs below for more information about any of our services. Our new rooms are located at Brandon Chambers 2a/10 Vine Street, Clayfield, Brisbane, Q4011 (see Contact page for directions). Assessment can be completed here in our main rooms for children and adolescents in a wide range of areas. Choice of assessment tools will depend on the presenting issues that have been described on referral. Once referred, parents or caregivers are asked to complete forms including a questionnaire. This will inform us regarding the need to do specific observations, assess speech sounds and /or language, literacy foundations or focus on eating / swallowing, voice quality or fluency. Therapy sessions are timetabled here or regular attendance before school, during the day or after school. We do like parents to sit in during therapy and assessment where possible. 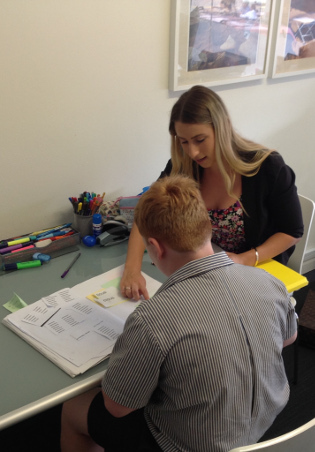 SLL consultants work from a small number of private schools in Brisbane by invitation. Here, students may be referred to us via their school teacher, Learning Support teacher or school administration, so they may attend our services within the school during the school day. The benefits of this are the convenience of parents not having to travel and attend therapy after school hours, and the ability of the therapist to regularly liaise with class teachers and learning support teachers, to be aware of and directly support the student’s classroom learning. As with our Clayfield services, once a student is referred, parents or caregivers are asked to complete forms including a questionnaire. This will inform us regarding the need to do specific observations, assess speech sounds and /or language, literacy foundations or focus on eating / swallowing, voice quality or fluency. We also have the ability to directly discuss the teachers concerns directly with them before commencing the assessment. 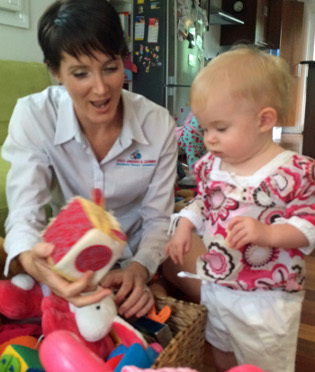 Parents are invited to attend sessions where they are able to do this around any possible work commitments. Following the assessment, an appointment is arranged to provide feedback at school with relevant school staff and parents. If therapy is recommended, parents may choose for this to be provided at school, at a time which suits the class teacher, outside of core teaching time. Students are collected by the therapist and returned following sessions until they are able to do this independently (usually Grade 2-3) depending on individual circumstances. By special arrangement, we are available for early childhood and school visits to consult and support our regular clients, through observation, liaison with professional staff regarding support strategies and joint goal setting. Fees will be according to time spent for this service. We may also be available to provide ongoing school therapy support in the school if there are a few students needing support. Telehealth has become popular for families who are able to attend for an initial assessment, but not attend on a regular basis. We are able to do follow-up therapy via online conferencing and keep continuity of therapy sessions for families who are regional, rural or overseas. Our consultants, as certified practicing members of Speech Pathology Australia are currently registered to provide Medicare funded EPC (Enhanced Primary Care) services and we are regustered for DSS Professional Panel membership to support clients through the HCWA and Better Start funding which will become NDIS funding eventually.